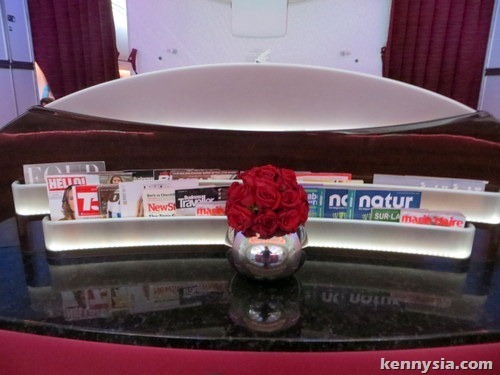 kennysia.com: I Went Onboard Qatar Airway's Boeing 787 Dreamliner. What I Saw Inside Will Blow Your Mind. 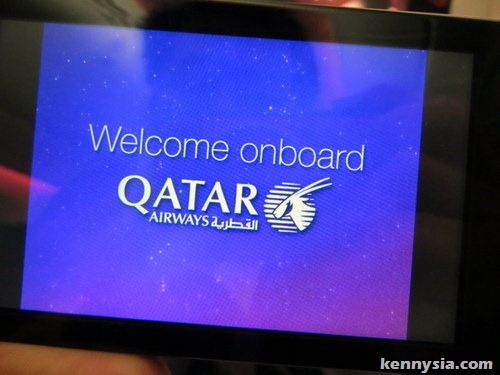 I Went Onboard Qatar Airway's Boeing 787 Dreamliner. What I Saw Inside Will Blow Your Mind. I made it. 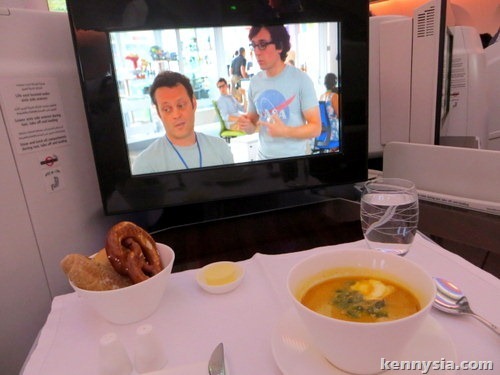 My dream has come true - I finally got to fly business class on an international long-haul flight for the very first time. Granted, I was on board as a guest of Qatar Airways, but still - this was a very special moment for me. With repeated awards and accolades such as "Best Business Class" and "Airline of the Year", I knew I was in for a treat. "So this is how the one percent travels," I thought to myself as I stepped into the front cabin of Qatar Airway's brand-spanking new Boeing 787 Dreamliner. Maybe it was the dynamic LED mood-lighting overhead, or the large oversized windows that resembled those on a spaceship, but my first impression is that I was stepping into something futuristic. 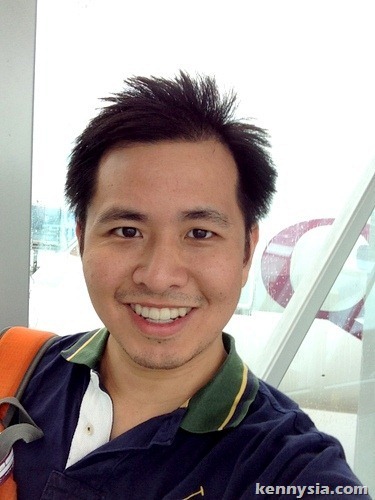 "Welcome on-board Mr Sia," a cabin crew greeted me by name and took time to introduce herself. "Would you like something to drink before we take off?" Yes certainly, miss. Maybe something to calm down my excitement. I knew immediately this will be a flying experience like no other. 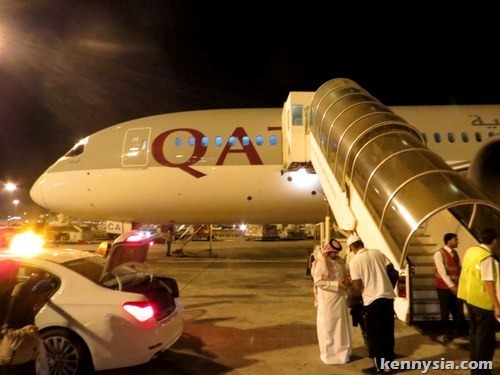 Qatar Airways is the first airlines in the Middle East to launch the Boeing 787. Described as an advanced aircraft built for travel in the 21st century, it generated a lot of excitement in the aviation industry when the first aircraft rolled off the production line two years ago. It's not difficult to see why. They say the Boeing 787 was designed for passenger comfort in mind. I say they certainly got the goods to back that claim up. As my flight rolled off Munich International Airport, the first thing I noticed is how blissfully quiet everything is. Compared to the noisy engine sounds of other aircrafts, the Boeing 787 barely whistled when it took off. It's as if the aircraft magically levitated into air, instead of using any form of jet propulsion engines. 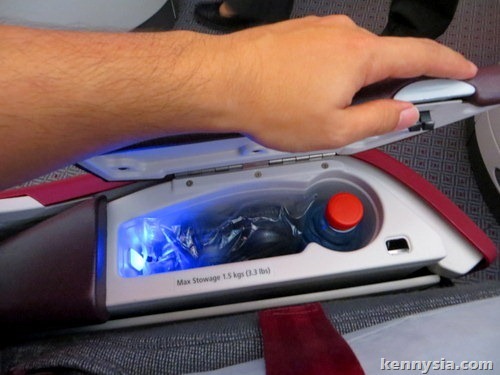 This is just one of many little things the Dreamliner did to minimise the stress on taking a long-haul flight. 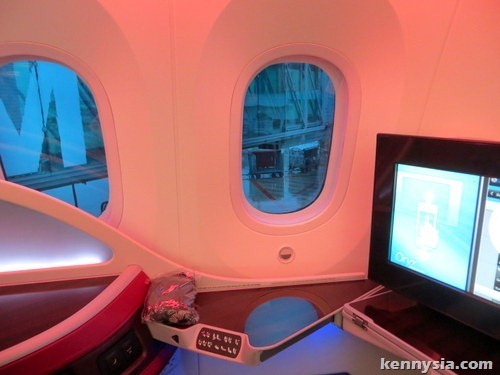 The Boeing 787 Dreamliner feels spacious, and even more so in the Business Class cabin. There's only 4 seats in each row in Business Class, compared to 9 each row in Economy. What this translate to is plenty of leg room. You can even prop your feet up on the cushion if you like. 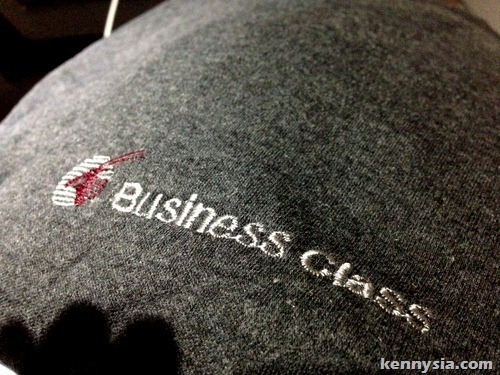 I love the Business Class seats! They are so cleverly designed to maximise usage of space, making them both private and spacious. A very rare feat indeed! 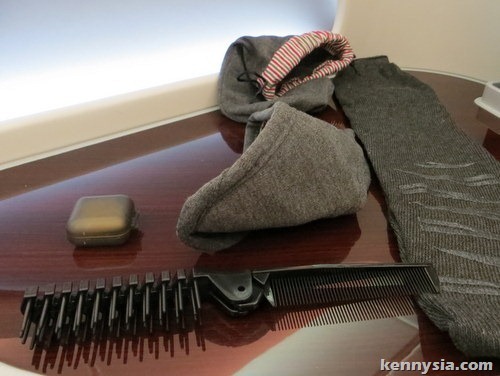 Qatar Airways' Business Class amenities are the stuff of legends. It's not just the standard pillows and blankets that they provide. 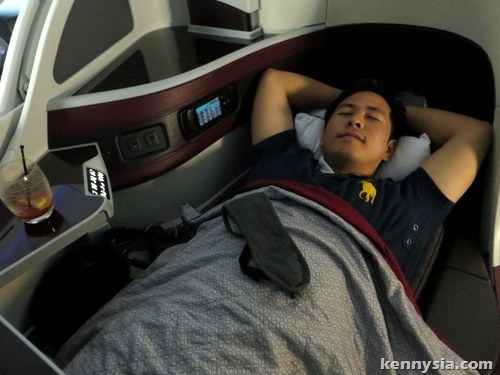 They went all the way - giving each Business Class passenger fluffy pyjamas to ensure a comfortable sleep. I'm not surprised if these get taken home by passengers after their flight as souvenirs. 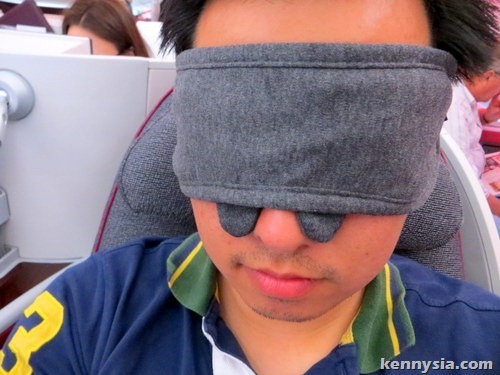 Actually, it's an eye mask. Hehe. It's so big it wraps around your ears, and even comes with nose rests so it doesn't slip down your face. 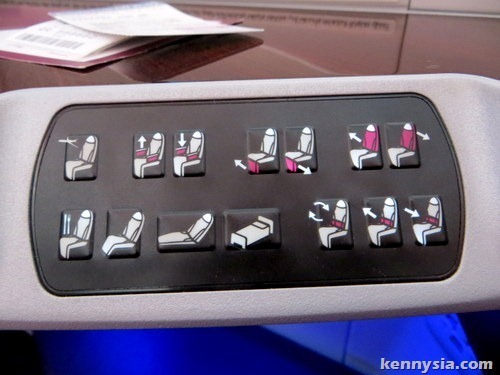 Each Business Class seat, of course, comes with a multitude of adjustments. For the ultimate comfort, it's possible for the seat to lie fully flat with a press of a button. 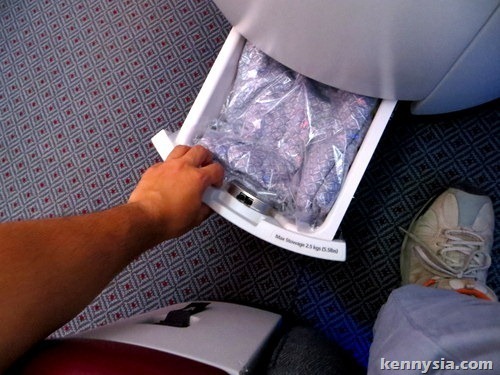 Your feet goes underneath your monitor screen, and your arm rests also slide down to give you a wider sleeping area. In terms of toiletries, each Business Class passenger gets a stylish Salvatore Ferragamo toiletry kit specific to their gender. I must admit, it looks so nice I didn't even use it. I just wanna bring it home and stare at it every so often to make me happy. Again, there's never a shortage of space to store your belongings. Apart from the humongous overhead compartment, there's also no less than 5 mini compartments on the left side, right side and underside of your seat to put your stuff away discreetly. As expected, there are USB charge ports and power sockets cleverly tucked away on the side. 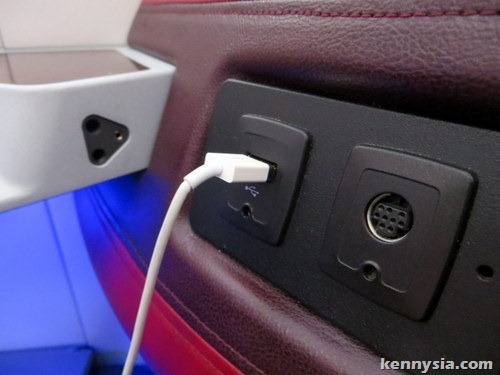 Economy passengers also get USB ports and power sockets in every seat. Oryx - Qatar Airways' Inflight Entertainment System is also legendary. On the Android system, it's feels even more high-tech and awesome. The 17" screen are touch-enabled, but there's also a touch screen remote... you know, just in case you don't want to lean forward. 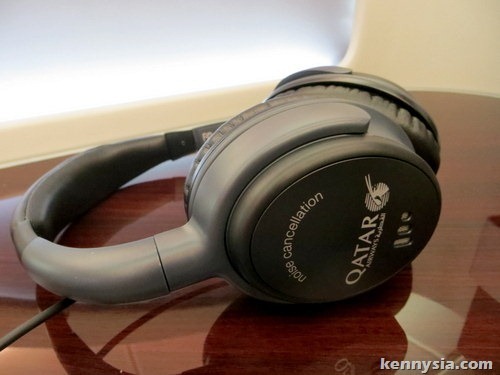 Then there's the beautiful noise-cancelling earphones - something only Business Class passengers get to enjoy. Once you put those cans on, and choose from over 1,000 movies, games and songs, it's easy to forget you're even on a flight. 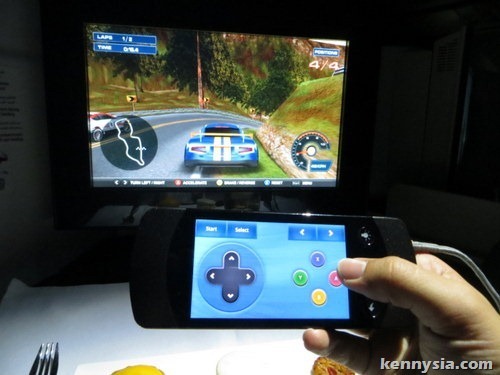 Wanna log on the internet at 30,000 feet in the air? 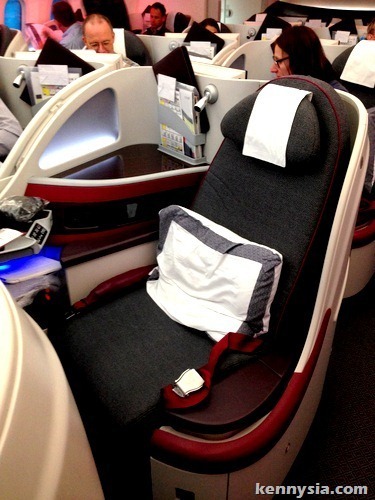 It's possible on Qatar Airways' 787. Of course there's a fee, but at RM15 for 10MB, it's comparable to typical data roaming charges, and very, very, very, very reasonable. Not a fan of high-tech? There's a huge selection of internationally magazines neatly arranged at the back. I think these were barely even touched by the passengers throughout my 6 hour flight. 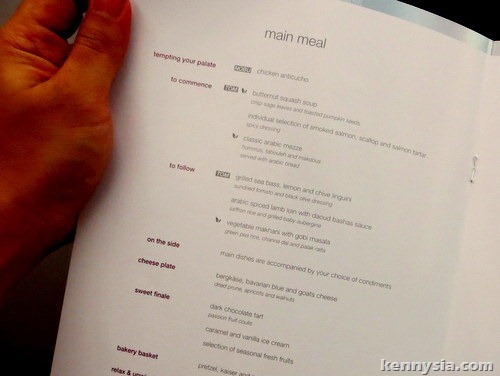 Meal time on Qatar Airways' Business Class is when things start to get interesting. No longer are airline passengers held ransom to bland food, or God forbid - instant cup noodles! Qatar Airways has teamed up with an incredible line-up of globally-renowned chefs to ensure the dining experience in the air is as close as possible to dining at these chef's Michelin-star restaurants. Forget eating your meal out of an pre-packed aluminium box. In Business Class, you get food served in real ceramic bowls, placed neatly in between real silverware, served on top of luxurious Frette tablecloths. This is Chef Tom Aikens' grilled seabass. Tom Aikens is a famous for being the youngest British chef ever awarded two Michelin stars by perfectly combining British and French influences. And his creation is amazingly good. 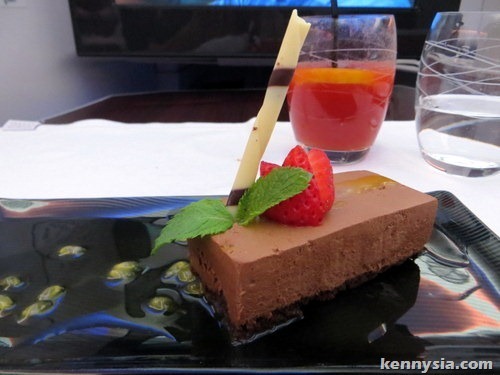 I never imagined airplane food to taste as good as this, but this is something I would take my date out to a romantic fine-dining restaurant for. Delicious dessert accompanied by a glass of Bloody Mary to finish off my meal. I swore I gained more weight stepping off the plane than when I stepped on! And a quick nap to take advantage of the fully-flat seats. Interestingly, I didn't feel as dry as a prune when I woke up. I attribute this to the higher humidity and lower cabin pressure of the Boeing 787 compared to other aircrafts. Although I was travelling alone, I rate this was one of my favourite flight experiences. 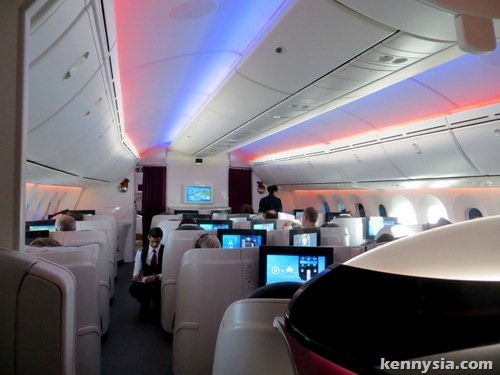 The Boeing 787 Dreamliner is a technological wonder, I was very impressed with Qatar Airways' service and attention-to-detail. 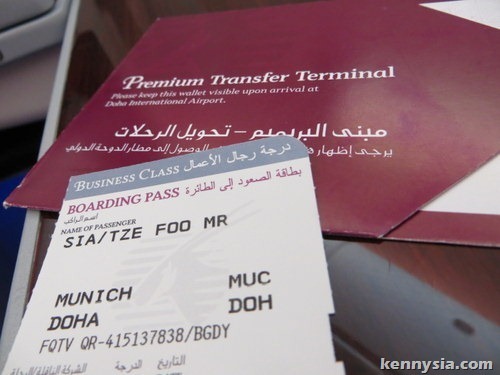 Compared to other airlines, Qatar's airfares from Malaysia to Europe is consistently one of the most competitive, yet their service standard is always one of the highest. 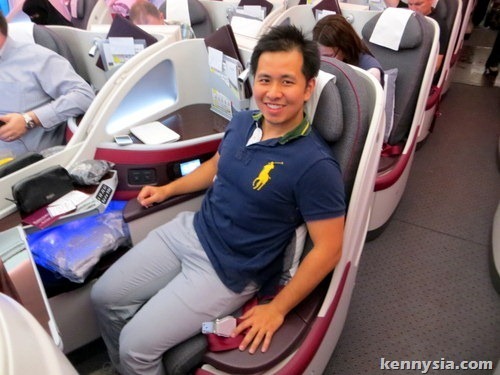 The Business Class experience on Qatar Airways, for those who can afford, is an absolute indulgence at around RM8,000 return. With over 250 aircrafts on order and new routes to many interesting destinations, a Qatar Airways experience comes highly recommended from me! and btw, u looked stunningly good kenny! Did they serve you that Arabic coffee in small little cups? Looks good but how does it compare say to emirates a380 and sia's? omg its awesome and looks luxury. 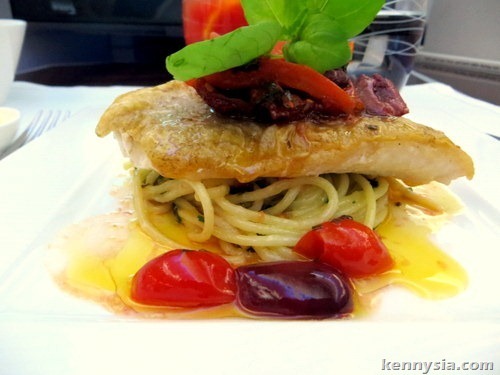 kenny, u look thin ald. It's look luxury and nice to travel like this..
for 8k, we can fly the whole family. Very precise review. Good stuff! My my! This guy is like one of those peasants who's never left his kampong! It is just like he's a retarded school kid never flown before, just an aircraft can blow his tiny mind away! He is so overwhelmed by a flight, even went narcissistic over it - me, me, me and wonderful aircraft, me, me me and sitting on plane, me me me and lying on plane! For goodness sake lah! 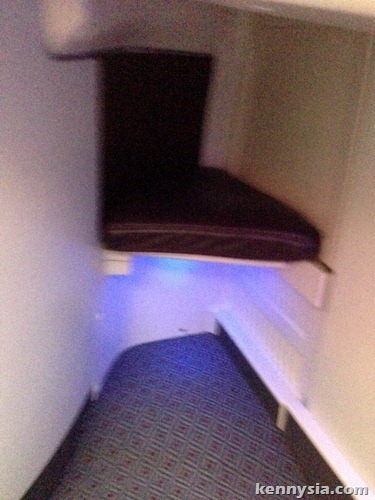 There are even bedrooms in the plane why aren't you put in one, you should get that "upgrade" for plugging for Qatar. Is that because you don't look the kind of flyer they want to upgrade, you try too hard to look "casual... with it", me ole son!